Detail of the steel engine mount pad located at the 10:00 position on the center unit. This is the steel pad itself. 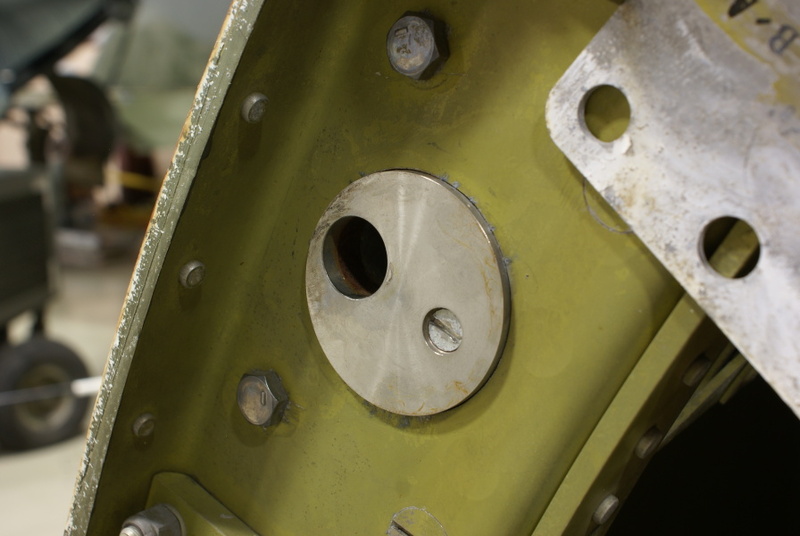 A bolt would be fitted in the hole and attach to the flange on the engine mount strut.